Downtown is profitable again. So why are we still paying developers to build there? The last time Kansas City, Missouri, had one of its major league sports teams in a championship game, it was 1985 and there wasn’t much of anywhere to go to mark the occasion. Last fall, when the Royals again gave a championship-starved public something to cheer about in baseball’s World Series, thousands of jubilant Kansas Citians filled KC Live, a massive entertainment complex at the heart of the city’s resurgent downtown. Crowds gather on game days for screening parties at KCLive. 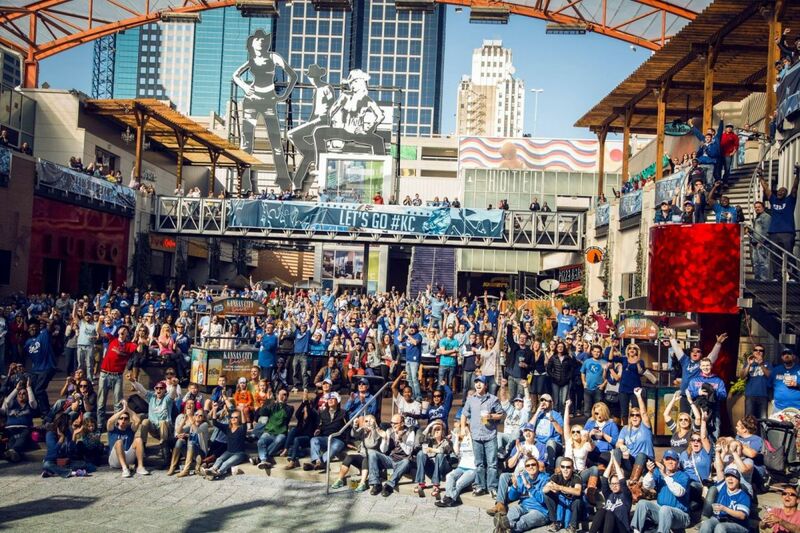 Even if you’ve never been to Kansas City, Missouri, KC Live may seem familiar. Developed by Baltimore-based Cordish Companies, the entertainment district is one of more than a dozen similar complexes the family-owned company has built or begun work on in the years since it ventured into urban redevelopment with its work on Baltimore’s Inner Harbor in the 1980s. Branding itself as “the leading international developer of large-scale, urban revitalization projects and entertainment districts,” Cordish has perfected a formula for turning underutilized downtown real estate into highly profitable, suburbanite-friendly destinations where retail and bar and restaurant chains mix with local tenants and open-air gathering spaces ideal for screening a game, socializing with friends or watching a performer. Typically, Cordish partners with another group on its large, multi-phase entertainment district projects. In some cases, as with Xfinity Live in Philadelphia and Ballpark Village in St. Louis, the partner is a private company with interests in entertainment or sports. The more common model, however, is the public-private partnership, a development model that Cordish has helped to define since the late 1970s. President and CEO David S. Cordish first learned about working with government when he took a sabbatical from the family company to serve as the first director of the federal Urban Development Action Grant (UDAG) program created by the Carter administration in 1977 to spur private development in distressed urban centers. After returning to the company in the 1980s, David Cordish formed a new division to specialize in the kinds of collaboration these projects demanded. The city guaranteed the debt under the assumption that new businesses and development in the district would generate $18 million to $20 million in taxes to cover the bond’s annual debt service, allowing the city to repay the bond without digging into its already strained general budget. The project would pay for itself, Mayor Kay Barnes argued back in 2006 when defending the project to skeptics in the City Council and press. Barnes was off. Way off. The district opened just before the economy crashed. Its thousands of square feet have been slower to lease than anticipated. Annual tax revenues generated in the district have ranged from $4.5 million to $5.4 million in the past few years, according to the city. That means that taxpayers are left on the hook for 70 to 75 percent of the money needed to pay down the debt each year, paying anywhere from $14.9 million in fiscal year 2014 to a projected $8.5 million this fiscal year, according to a recent article in the Kansas City Star. The nearly $15 million the city spent repaying Power & Light District debt in 2014 was money it couldn’t spend on public libraries, parks, police, blight cleanup and other public services — no small sacrifice in a city that had a general operating budget of $1.42 billion that year. The debt isn’t going away anytime soon either; last year, the city refinanced, which lowered the payments from 2015 through 2019 but extended the debt schedule from 2033 to 2040. “I don’t think there will be a point at any time in the foreseeable future, probably the next 20 years, where it actually pays for itself,” City Manager Troy Schulte told the Star in February. The new development has also failed to generate the jobs that many hoped would be the payoff for public support of the complex. “We’ve made great strides in making downtown more conducive to residential and business growth, but we haven’t moved the needle on employment growth in the greater downtown,” says Bill Dietrich, CEO of the Downtown Council, a nonprofit association of business, cultural and civil leaders supporting growth downtown. From 2010 to 2011, after the district had opened for business, employment fell in the zip code and Census tract that includes the Power & Light District and the heart of the downtown, according to Census Bureau data. Cordish says that the district has produced 10,000 jobs for Kansas Citians, but it’s not clear how many of these represent new employment in the entertainment zone, how many of these are temporary construction jobs, and how many come from relocations like that of H&R Block headquarters and the Kansas City Repertory Theatre, another ancillary project sparked by the development. Cordish, which is privately held, doesn’t release revenue figures, but company representatives have told local reporters that sales at district businesses have doubled over the six full years since KC Live opened and pointed to a $28 million rise in property values in the district as a source of increased tax revenues flowing into the general fund. But even these higher numbers don’t produce enough in taxes to put a serious dent in the debt service gap; a $1 million increase in sales from October 2013 to October 2014, for instance, translated into only $50,000 in added sales tax revenues. Kansas City Mayor Sly James has since said that City Hall won’t again make deals like the one it made with Cordish, yet the city remains beholden to the agreement in ways that are still emerging. In April, the city and Cordish announced that a plan for a city-subsidized, 24-story luxury apartment tower was moving forward in the Power & Light District. Company officials have said that Cordish will invest more than $88 million into the $105 million, 300-unit Two Light Luxury Apartments building. The roughly $17 million balance, the company said, will be covered by city incentives, including a 25-year tax abatement, subsidies for the parking garage and a $5 million incentive for the high-end units themselves. Under the agreement, the city will pay Cordish $16,666 per apartment unit. The company has said that while it’s too early to speculate on rental rates for the building, a one-bedroom may rent in the range of $1,450 to $1,500 a month. While locals have criticized the city for subsidizing luxury development in the thriving district when many parts of the city lack resources for basic services, the per-unit payment proposed for the Two Light building is actually $10,000 less per unit than the city paid for One Light Luxury Apartments, a sister Cordish tower now under construction and slated to open this fall. Luxury residential towers rising in the Power & Light District. To understand why Kansas City’s civic and business leaders have so much invested — both financially and emotionally — in reviving the downtown, it helps to understand its past. The bluff at the northwest corner of Downtown Kansas City overlooks the floodplain where the Missouri and Kansas rivers meet. It’s where the region began its ascent in 1838, when U.S. Senator Thomas Hart Benton stood there and predicted a great city would rise someday. At that time, the area was little more than a landing place for Missouri River boats carrying supplies bound for nearby Westport, a thriving frontier town that equipped settlers headed west on the Santa Fe, Oregon and California trails. By 1850, the landing had grown large enough to be incorporated into a city named for the native Kansa tribe: Kansas City. By the time Kansas City, Missouri turned 50 in 1900 that modest settlement had grown into one of the 20 largest cities in the country. Atop the bluff where the city was first envisioned sat the homes of many of the city’s most affluent families, who were only just then beginning their migration away from downtown to neighborhoods east and south. By 1925, 12th Street, the city’s main east-west thoroughfare, was known as a place where anything went. The rest of the country may have been dry, but the booze flowed freely in the clubs on 12th Street, where gambling and prostitution also flourished. The sounds of Kansas City jazz also poured forth from both the clubs on 12th and those in the black business district centered on 18th and Vine streets. 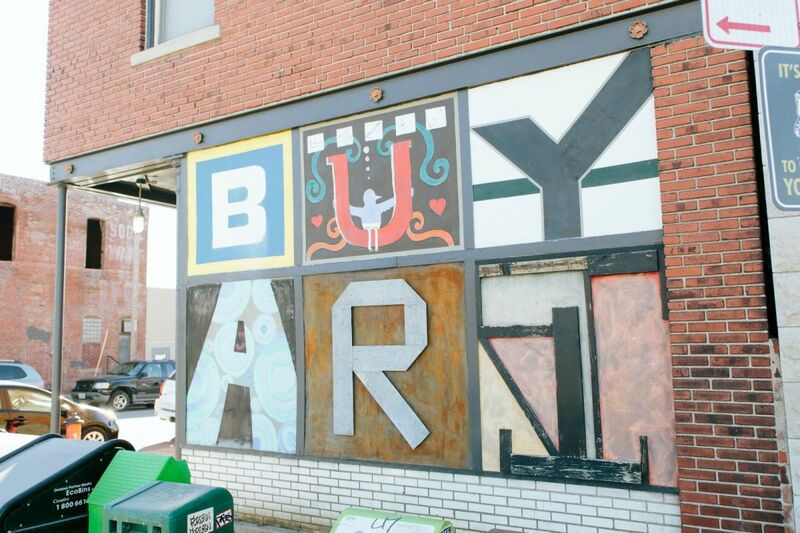 If nightlife was your thing, Kansas City was the place to be. The party stopped with the fall of political boss Tom Pendergast in 1940 and by the city’s centennial in 1950, downtown was bleeding jobs. The area lost any remaining stability in 1968, when a nearly all white police force met black civil rights demonstrators mourning the assassination of Martin Luther King Jr. with canisters of tear gas and riots erupted. By the ’80s, downtown Kansas City had become a place populated mainly by office workers during the day and a handful of diehard residents at night. Neighborhoods had emptied out, industry had left and only two department stores survived, one of which would close by decade’s end. Hallmark was the only major business still adding jobs downtown. The business leaders who formed the Downtown Council in 1981 weren’t the only ones concerned about the city core’s future. City Hall viewed the deterioration with growing alarm as well. The city’s first attempt to redevelop downtown consisted of handing over development rights to a 12-block swath of the South Loop area to Stan Durwood, the founder of theater operator AMC Entertainment, in 1970. Durwood did nothing, but with the threat that he could exercise eminent domain looming over their heads, neither did any of the existing business or property owners. 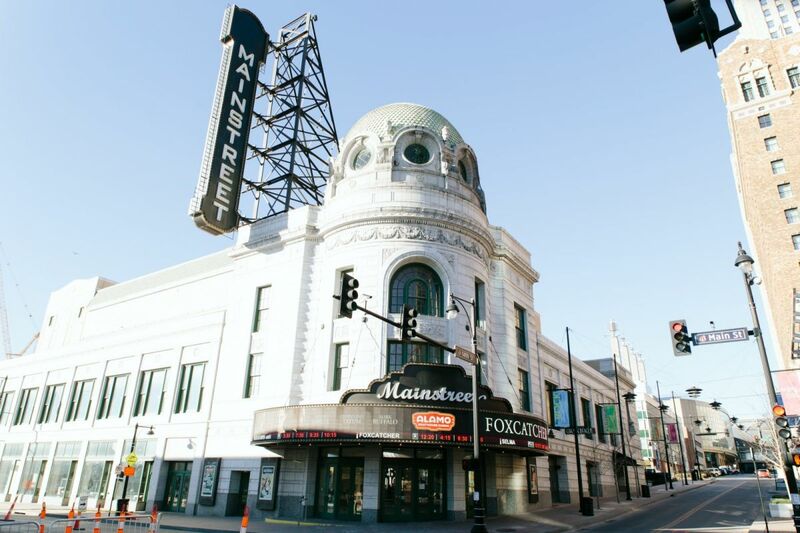 Even the Mainstreet Theater, which AMC operated as the Empire, closed in 1985. Three decades would pass before the city launched another attempt at a South Loop makeover, this time in conjunction with an effort to keep the corporate headquarters of H&R Block in Kansas City. In response to the company’s threat to decamp to Johnson County, Kansas, the city offered development incentives and an additional promise that the tax preparer’s new headquarters would not be surrounded by blight. This is when Cordish became an important player. The city needed a development partner to help it make good on its promise to one of the city’s biggest employers. Though Mayor Barnes supported the deal enthusiastically, the city auditor at the time, Mark Funkhouser, smelled a rat. Rick Usher is Kansas City’s chief budget officer and assistant city manager. He disagrees with the contention that the debt service leaves the city less able to deliver basic services. “Our…surveys show satisfaction with the city’s ability to deliver services continues to go up every year,” he says. Still, a Wall Street Journal article on the debt-service issue in 2012 noted that the city would have to set aside $12.8 million for debt service on the Power & Light bond in fiscal 2013, while cutting $7 million from the fire department budget. 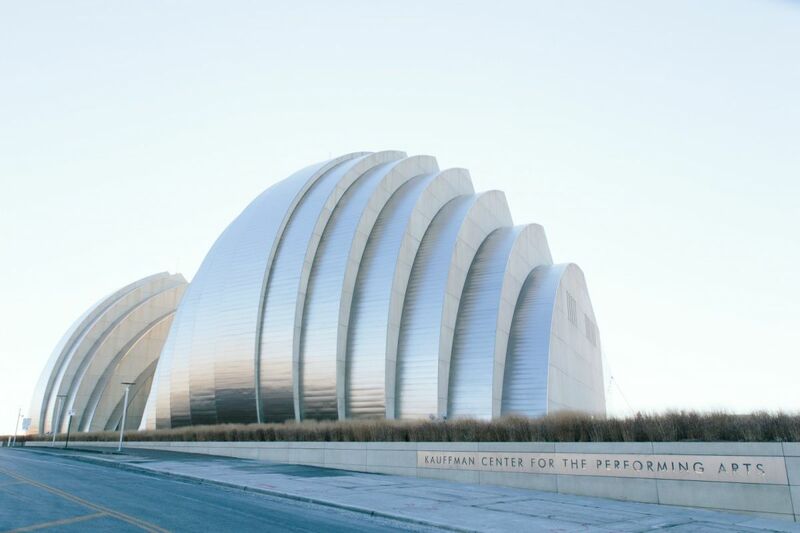 Not far from the Power & Light District sits another jewel in the city’s downtown crown: the striking Kauffman Center for the Performing Arts, designed by world-renowned architect Moshe Safdie. A $326 million glass, steel and concrete clamshell nestled gem-like on a downtown hilltop, the concert hall was paid for by private donations, including more than $100 million from the Kauffman family, a powerful local family. Its site was chosen both to reinforce redevelopment of the nearby Power & Light District and to serve as the anchor for a new “cultural campus” that the city hopes will solidify the status of another growing downtown neighborhood, the Crossroads Arts District. The Kauffman Center for the Performing Arts, designed by world-renowned architect Moshe Safdie. Once a manufacturing district, Crossroads got its start much as gallery districts in a number of other large cities did: Artists and art dealers found empty industrial buildings made for great and affordable studios and began to rehabilitate them. In contrast to the Power & Light District, the city didn’t leverage itself to help this district along. To date, its principal contributions have been a $47 million underground parking garage built just south of the Kauffman Center and public investment in Union Station, a nonprofit cultural hub featuring a science center, planetarium and a theater. The area is successful by all measures, attracting crowds of visitors every weekend and, increasingly, residents who are prepared to pay top dollar to live within the burgeoning cultural district. As non-artists and other businesses have moved in, rents have risen to the point where the city moved last year to have the district declared a “planned industrial expansion area,” which extends 25-year tax abatements to buildings where at least half the space is devoted to artists’ studios and galleries. “The Arts District PIEA was necessary to prevent the age-old problem of pricing out the artists who created the sense of place that drew new investment,” says Crossroads Community Association President David Johnson. Kemper estimates that when all is said and done, the bond issue’s total cost to the city will be between $500 million and $1 billion, and he isn’t sure of the payoff. 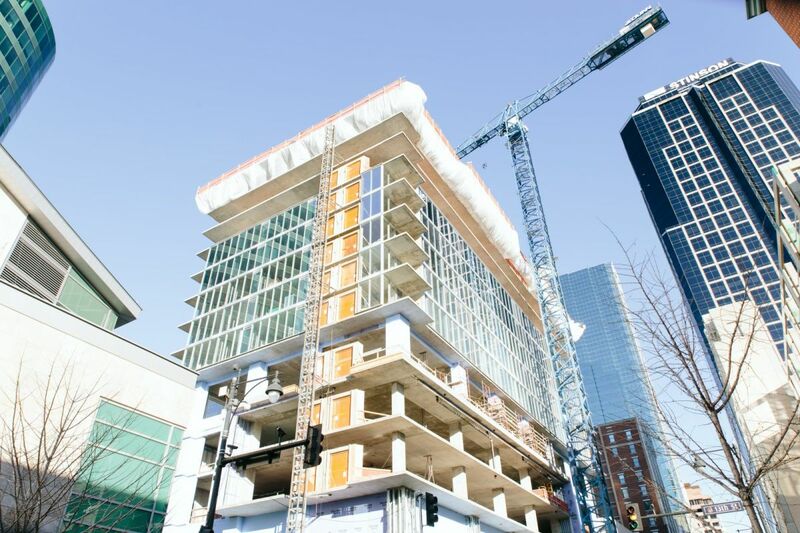 “There’s no doubt that the Cordish Companies are very good developers. But it’s not your 3,022nd Chipotle, or Bar Louie, or whatever else is there that’s drawing talented young people to Kansas City,” he says. Just like the Power & Light District, the Crossroads district followed a familiar script of development. In that case, abandonment was followed by artist colonization and then, reinvestment. The Crossroads began its evolution in 1985, when local artist Jim Leedy opened the Leedy-Voulkos Art Center in a former warehouse across the tracks from Union Station. Other artists and galleries followed in Leedy-Voulkos’ wake, and soon enough, the galleries were staying open late on the first Friday of each month to host art-hungry crowds. A storefront in the thriving Crossroads Arts District. Today, the Crossroads is home to more than 400 local artists, 100 independent studios and a slew of professional offices in related creative disciplines like architecture, advertising and interior design. The Crossroads Community Association lists more than 30 restaurants and coffee shops, more than 20 retail shops and dozens of interior design studios and business services firms among its membership. As with the Power & Light District, some of the establishments are local outposts of nationally known names, but those are far outnumbered by the homegrown talent, both artistic and culinary. Apartment-and-condo-hunters and the developers that cater to them have also been drawn to the area. The result is a population boom even greater than the one taking place in the Power & Light District and surrounding downtown area. From a population of 130 in 2000, the number of residents in the census tract that encompasses the Crossroads district had jumped tenfold by 2010. New residents continue to move in. Bill Dietrich says the Crossroads can’t be looked at in isolation — it wouldn’t be thriving the way it is if other parts of downtown hadn’t been reenergized. Blake Cordish says that the whole picture must be taken into account when judging KC Live. The development, he says, was part of a larger package that included the new sports arena and expanded convention center, and related redevelopment by others on land adjacent to the property Cordish controlled. The end goal was a wholly new neighborhood where people would live, work and play. To get there, Cordish says, the company took risks, including partnering with a local supermarket to put a store in the district, Cosentino’s Downtown, “before it was really time.” Along with a health club he also describes as “best in class” that just opened above it, the supermarket is a crucial amenity that makes the two apartment towers salable to new residents, Cordish says. A refurbished movie theater in the Power & Light District. Funkhouser wasn’t reelected for a second term, but his successor, Mayor Sly James, grew up on the East Side and has made investments in the area a priority for his administration, which is now in the final month of its first term; he’s favored to win reelection in June. Last year, James introduced a proposal to reduce the amount of subsidy given for real estate projects and create “a new normal” wherein developers expect less public assistance. The proposal was quickly quashed by real estate interests and is unlikely to move forward before the upcoming mayoral election. But if James does keep his desk at City Hall, there’s a good chance that he’ll have to make difficult decisions about how to bring opportunity and development back to the East Side without ceding to risky developer demands. It will be a political battle worth watching, and in Kansas City, there are plenty of big-screen televisions and barstools available for the show.